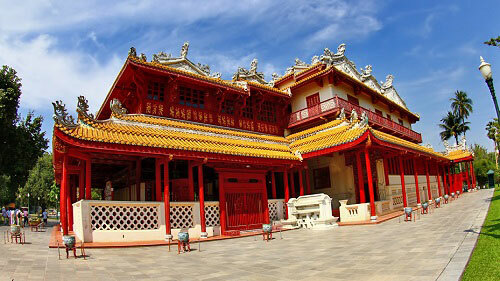 • The prices are for private driving tour with driver only (no guide). Qualified guide can be provided at added fee (please let us know if required). • Please note the dress code for Bang Pa In Royal Palace. They don’t allow shorts, short skirt, tight pants, torn pants, or sleeveless shirt. Cover dress can be borrowed but it saves the hassle to dress according to their code. • The sun can be strong so please bring along your hats, sunscreen, and comfortable walking shoes. 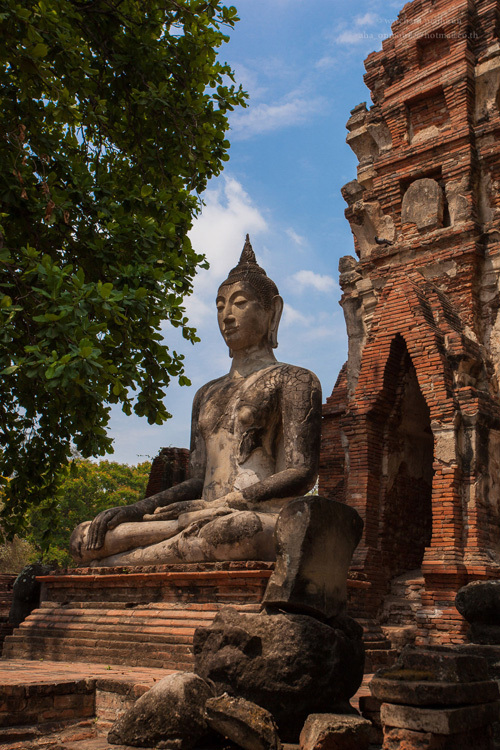 Once considered one of the most elaborate empires of the east, the ancient city of Ayutthaya was Thailand’s capital for 417 years. The kingdom prospered as the major trade and culture center of the region. 33 Kings of different dynasties ruled the kingdom. 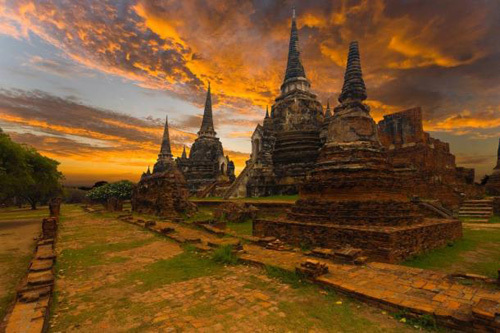 Ayutthaya was one the largest and most powerful kingdoms the world had ever seen. 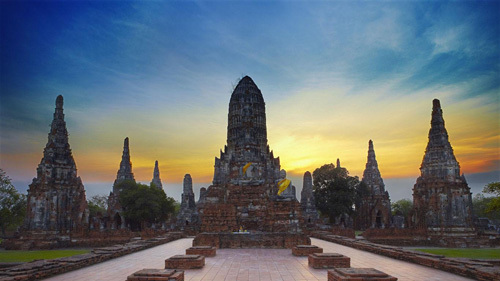 In its peak in the 16th century Ayutthaya’s realm included a significant part of Burma, the Lanna Kingdom, the Yunnan & Shan Sri provices of China, Laos and Cambodia (completely), South Vietnam and all of Malaya. It had diplomatic relationship with Louis XIV of France and was frequented by Portuguese, Dutch, English, Japanese and Chinese merchants. 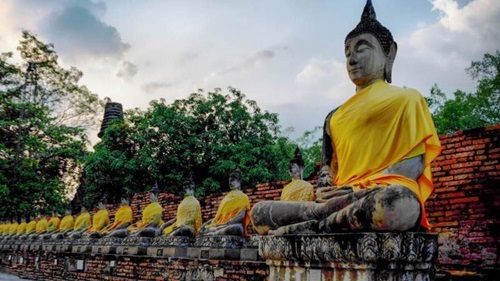 During the 17th century, many of its foreign visitors, traders and diplomats alike, claimed Ayutthaya to be the most glittering and illustrious city that they had ever visited. The map of Ayutthaya by Simon de la Loubere in Du Royaume De Siam (published in 1691) can be perhaps one of the proofs of such recognition. 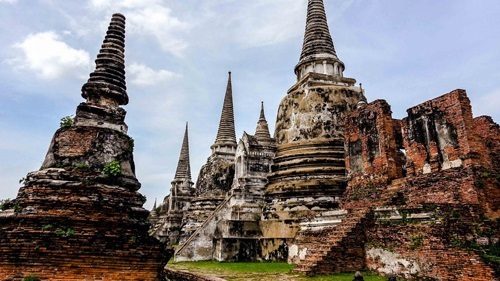 But all good things come to an end and Ayutthaya met its demise in 1767, 417 years after its founding, when the city was seized, burnt, and almost completely destroyed by Burmese invaders. 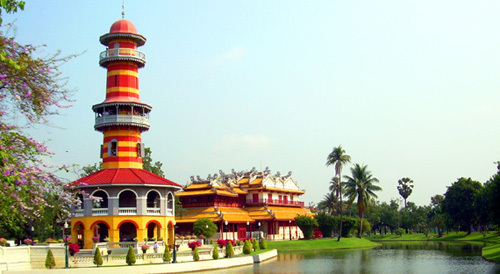 Bang Pa In Royal Palace is a peaceful palace in Bang Pa In district, at the outskirt of Ayutthaya. 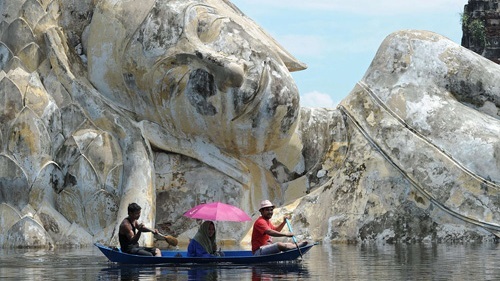 The town is in the middle of the Thai heartland where the river is wide, the soil is fertile, and the weather is benign. 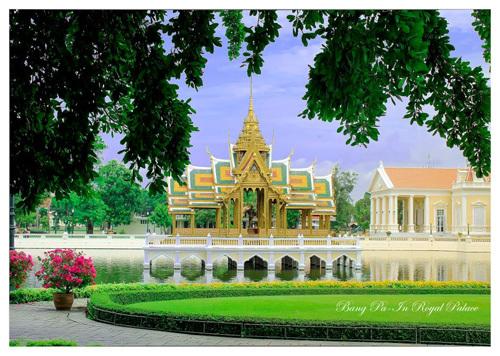 King Prasat Thong of Ayutthaya Kingdom (the 24th king reigning from 1629–1656) commissioned the building of this palace to be his summer place of residence away from Ayutthaya. 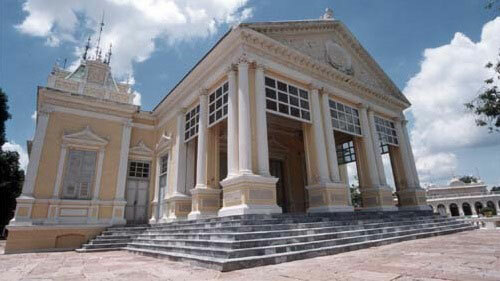 The facilities include vast gardens and beautiful mansions. 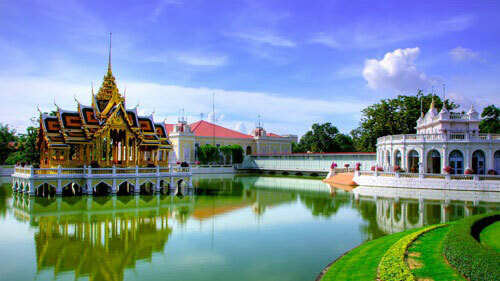 The whole palace compound can be enjoyed on foot at a leisure pace or on golf cart which is available for rent. For such a small city (approximately 15 Sq. 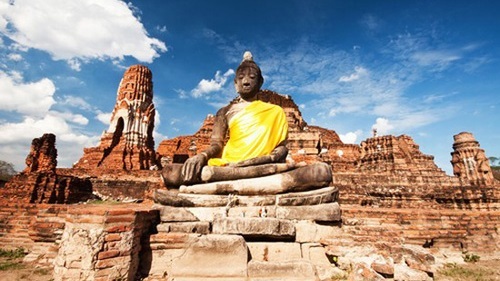 km), Ayutthaya has so many glorious temples that it can only indicates to past prosperity. 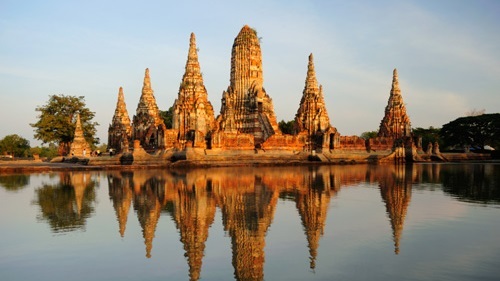 During its 417 years as the capital of the Siam Kingdom Ayutthaya had seen many dynasties, wars, expansions, before its final and complete destruction in 1767. In this afternoon we explore the city and bask in its glorious and intriguing past. 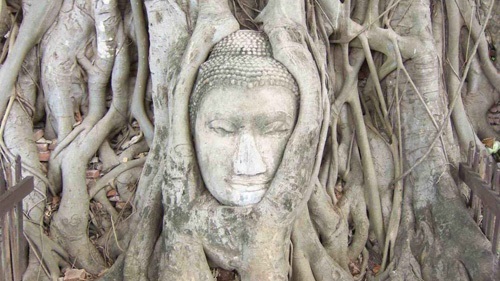 Wat Phra Mahthat: stone Buddha head wrapped in the roots of a banyan tree. A surreal sight.